« Older: Miss Mexico Elisa Espinosa Gómez takes the Reina de la Costa Maya crown! 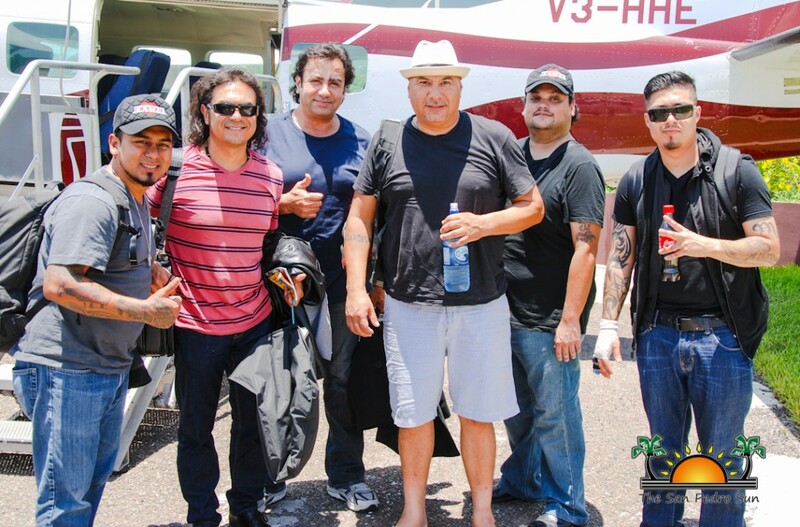 Mexican romantic musical group Industria del Amor has arrived on the island and are excited to perform at the annual International Costa Maya Festival. The band members arrived at midday on Friday, August 8th and were flew over to inland from the Phillip Goldson International Airport. 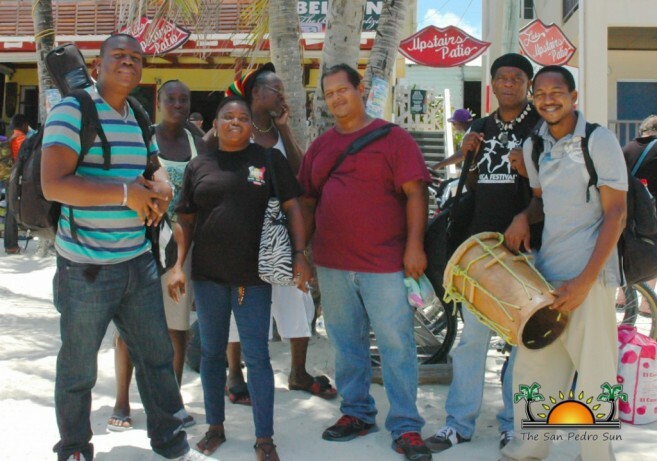 Belize’s International group, The Garifuna Collective is also on the island as part of the festivities. Industria del Amor is one of the highlights at this year’s festival and are scheduled to be on stage on Saturday August 9th. 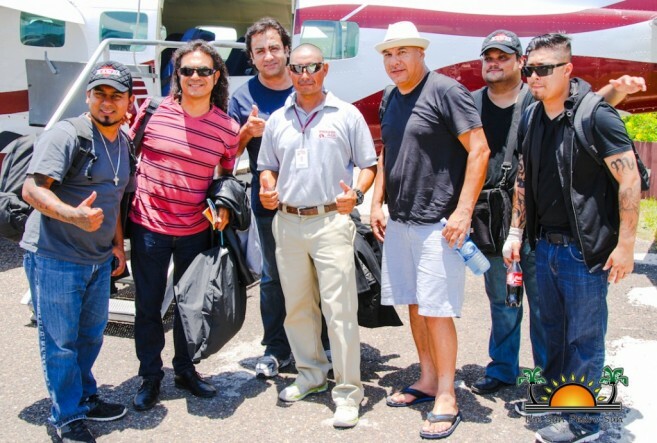 “We hope to entertain the public and captivate the hearts of the Belizean people.. We are bringing a good performance, with well-known romantic music, and so we hope that our music can contribute to the happiness of the people of this island,” said Salvador Vasquez, one of the eight band member. According to Vasquez, while they are known for their romantic ballads, they are also bringing other types of music which they hope will be well received. 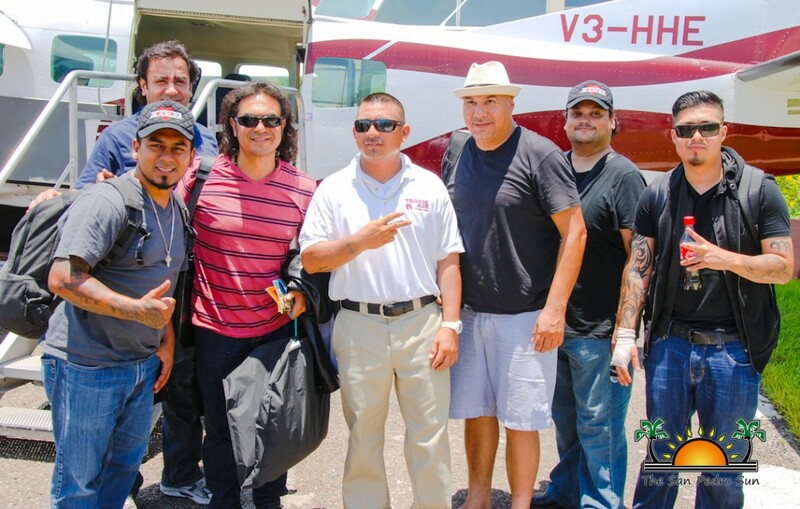 The musical group, now based in California, USA is known throughout Latin America for musical favorites such as A"mor, Amor", "Rosas Rojas", "Tu Amante Escondido", "Tu naciste para mi", "Dos Enamorados", and many more. Also on the island is the Jewel’s pride, The Garifuna Collective. They are scheduled to perform on Friday August 8th at the Party Night event. Known for their traditional Garifuna music, The Garifuna Collective is expected to highlight Garifuna cultural preservation with their diverse sounds. “We are excited to be here and we are ready to perform,” said the group members. 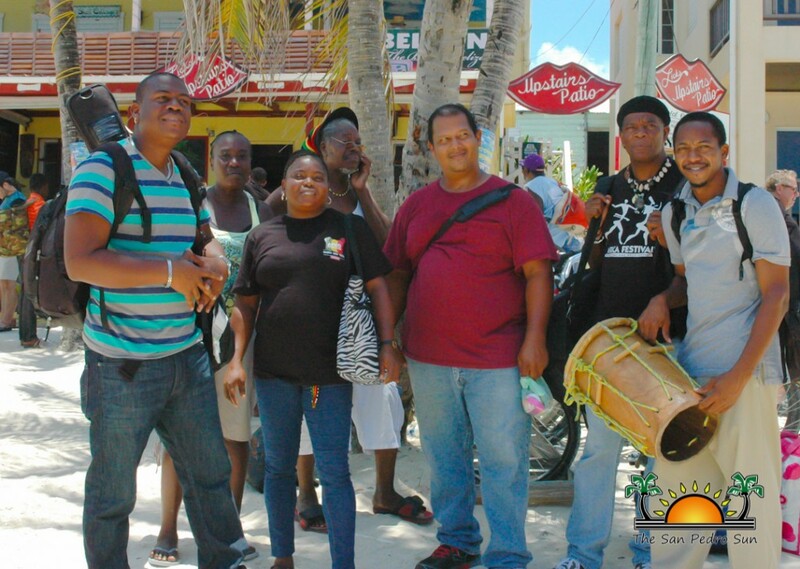 The Garifuna Collective recently returned to the country following a musical tour in several European countries. Organizers of this year’s festival have indicated that with the diverse lineup of entertainment the event promises to have a bit for all age range. Tickets for the festival on Friday are $65.00 and $100 for Saturday night. The 2015 International Costa Maya Festival® is set to go! : Presenting Miss Costa Rica! Miss Mexico Elisa Espinosa Gómez takes the Reina de la Costa Maya crown! Costa Maya delegates explore Hol Chan, Shark Ray and Caye Caulker!